All About Sports Cards: Bidding ends on Michael Jackson Memorabilia. 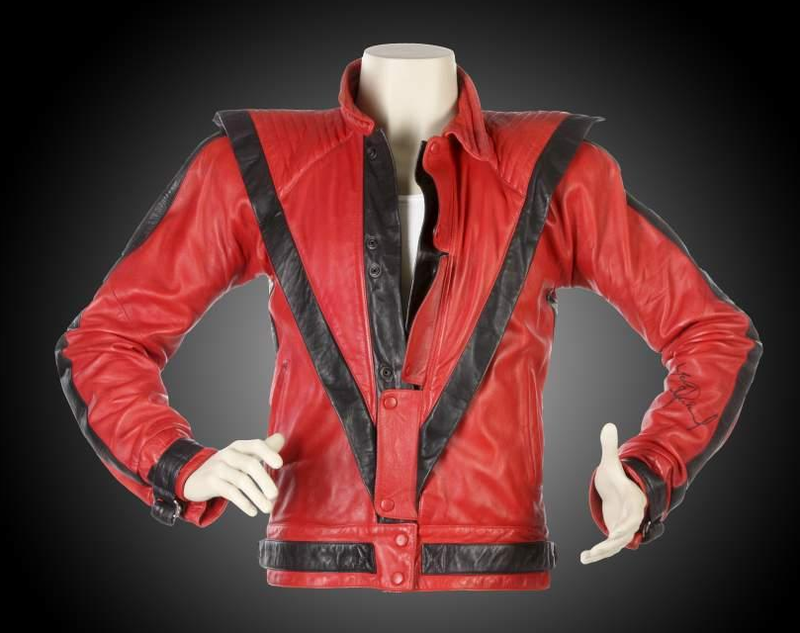 Thriller Jacket sells for $1.8 Million. Bidding ends on Michael Jackson Memorabilia. Thriller Jacket sells for $1.8 Million. We told you about the auction for Michael Jackson's red jacket from the Thriller video and other various memorabilia items. We also told you we would update you with the final prices paid for these items. Bidding has ended and the jacket sold for $1.8 Million, considerably more than the estimate $500,000. There were other items of note from famous musicians, but the only memorabilia to even come close to the kind of prices paid for Jackson's items were Ringo Starr's Cape from "Help" which sold for $37,500 and a Kurt Cobain signed guitar neck which sold for $32,000. 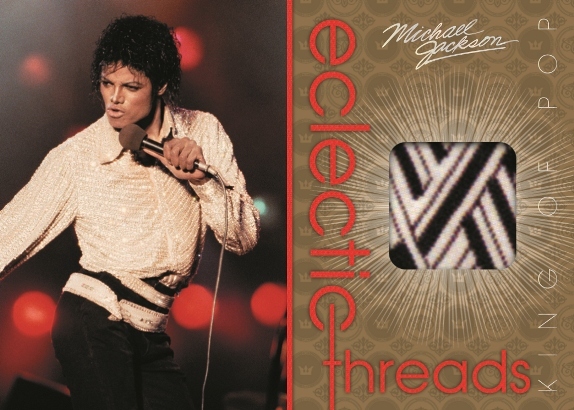 The least expensive Michael Jackson item, which sold for $384, was a General Admission Ticket and accompanying Wrist Band for the Michael Jackson Memorial Service that was held at Staples Center in Los Angeles on July 7, 2009. Of course, for a fraction of any of these items, you can just pick up a box of Panini Michael Jackson Trading Cards and have your chance to own a piece of an item like the one that were sold at auction.